This eye-catching, copper finish coffee product is sure to look great in any coffee lover’s kitchen. It features a kilner style jar for storage and blocks out light which is another key component in maintaining freshness. This device can be adjusted to suit your preferred brew method, grind size is important in producing the perfect cup depending on what coffee maker you use. Just insert your beans into the hopper and use the wooden handle rotates for ease of use. 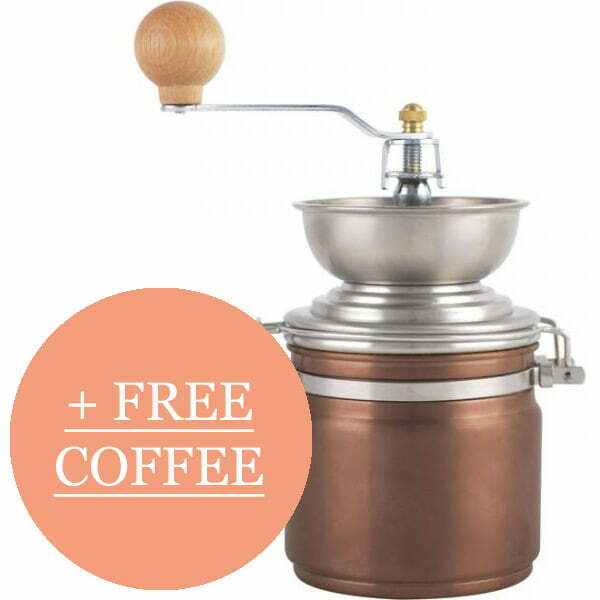 This unique product has a beautiful copper finish which makes it stand out from your typical coffee grinder. The rich copper colour is paired with silver accents which give it a sophisticated look and feel. 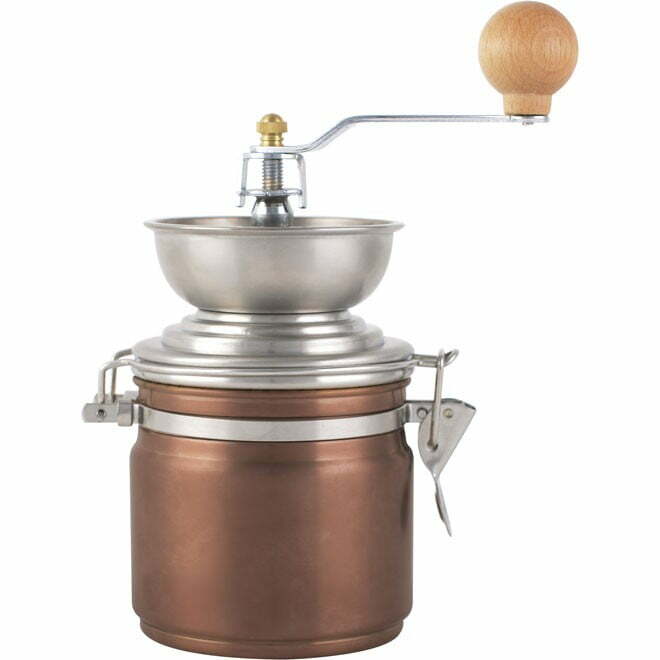 La Cafetiere have always been the brand to bring together style and practicality, and this copper grinder is no exception from their usual high standards. This classic design will never go out of style and is a staple for premium coffee brewing. This makes it the perfect gift for a loved one for any type of occasion. What features does the Origins La Cafetiere copper grinder come with? This high-quality product comes with many features and settings which makes fresh coffee brewing a breeze. Benefit from the adjustable grind settings which allows you to find your perfect grind size. This is to allow for different brewing methods, as some will need a finer grind, and some will need a courser one. Also take advantage of the jam jar style body which you can store coffee in to keep fresh and delicious. The wooden handle is smooth and comfortable with an easy to use hand crank that doesn’t require a lot of force. Benefit from the ultra-precise blades which will evenly grind your coffee and give you consistent results. Why is a grinder important for coffee making? Grinding your own coffee beans will make such a difference to your usual routine. Although it may take little extra time and effort, the results are certainly worth it. Once the beans have been ground, they slowly begin the process of oxidisation. This is where the organic molecules react with oxygen and begin to break down, which means they lose some flavour. Therefore, to receive the ultimate flavour and freshness from your coffee, it is recommended to grind your own beans before brewing. If you’d like to find out what grind size to use in a cafetiere, take a look at our quick guide here.